Pick of the week are these beautiful Maya curtains from Artilleriet. 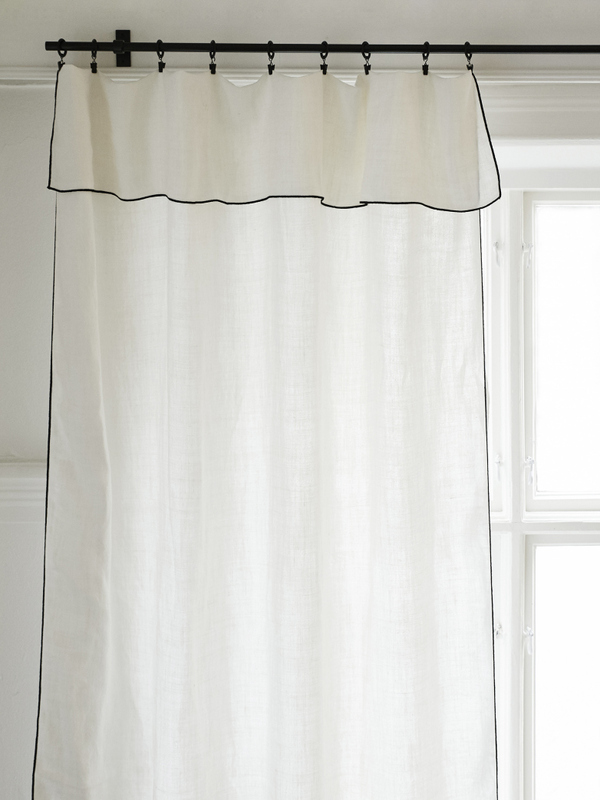 You have them in different fabric thickness going from light voile to linen. Both Nina and I would love to have these beautiful curtains at our respective country houses. The thin black stripe is really what makes this product great. So subtle and yet elegant.